The French Laundry is arguably the best restaurant in the United States and has been for quite some time. Thomas Keller is an extraordinary chef who has transformed dining in America, introducing the country to new techniques and his own brand of perfectionism. The restaurant is one of a few in the US to hold 3 Michelin stars and as long as Keller is at the helm, it’s at no risk of losing them. The French Laundry cookbook features 150 recipes that are exact replicas of what is used at the restaurant, scaled down and tested in home kitchens. 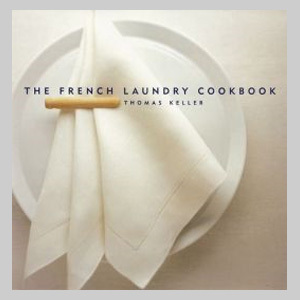 Unlike most other books reviewed on this site, The French Laundry doesn’t require an arsenal of chemicals and a laboratory of tools. Thomas Keller shows that innovative and interesting recipes can be made with basic equipment with the right amount of thoughtfulness and patience. That doesn’t mean the recipes are quick or easy, however. Most dishes do require planning, time, and multiple steps. However, I found the writing to be very easy to understand and thorough in its explanation of the steps. 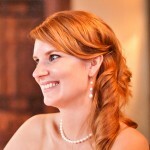 So far I have made several recipes including: Tomato Sorbet, Poached Fois Gras, Infused Oils, and Salmon Tartare. For me, The French Laundry cookbook is one of the most approachable books geared towards fine dining. I would recommend this book to anyone who wants to kick start their culinary adventure and begin to refine their ability and technique. You can read more reviews and find the best prices here.